A daring early hour heist has seen an outdoor ATM lifted from its foundations at an Arkansas bank. Police are looking for help in identifying the culprits, whom they suspect may work in the construction industry. 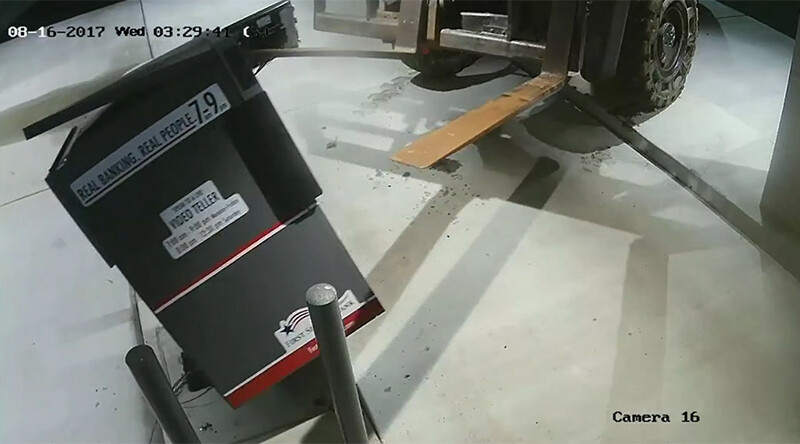 The operation took place in the early hours of 16 August in Conway, when the forklift was driven to the ATM and using the forks, the suspects lifted it from its foundations, before making away with the intact ATM and an undisclosed amount of cash inside. Police have appealed for help in catching whoever carried out the robbery. Last month a similar tactic was used in the UK when a forklift was used to smash through a wall and steal an ATM.